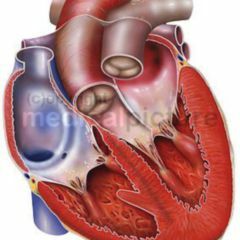 Blocked coronary arteries do not always initiate a heart attack, because when such a danger threatens collateral vessels can take up the task of supplying blood. Scientists have now shown that a well-adapted core network decreases the mortality rate significantly. Smokers, the obese, people with high blood pressure or diabetics have a higher chance of surviving a heart attack than fit healthy people whose heart-supply system fails. Under the heading “Astonishing Matters in Medicine”, the findings of John Canto of Florida and his team recently made their way across the entire media landscape. Doctors and journalists have since then been speculating on the reasons for the perceived immunity to death in people who have an increased risk for the major pumping muscle. Stefan Engelhardt from TU Munich states that it could be collateral arteries that are behind this phenomenon. The small vessels, which connect the areas between the major arteries of the heart in the epicardium, possess varying densities of intertwinement. In some patients it turns out to be sparse, while in others they stretch out over a tight network. What is certain is that stress stimulates the formation of collaterals in the supply channels. Strong shear forces arise in the vessels by way of exercise and sports, as well as from atherosclerosis, and stimulate the body to lay down these bypass routes. At cardiologist conferences descriptions of patients carrying underlying coronary heart disease (CHD), who have not died because of their heart failure, keep on popping up. 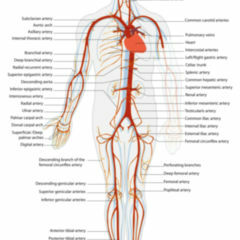 At autopsy, doctors have found blocked major arteries, without this ever having led to a heart attack. 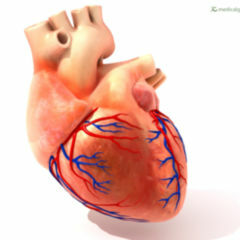 Until a few decades ago, many experts still believed that, with regard to these coronary arteries, they were pure terminal arteries that did branch, but had no connection to other supply routes. Now it seems as if these collaterals not only have an important role in emergency action, but also in protection against fatal blood congestion at the centre. Pascal Meier of the University College London and the team under Christian Seiler from Inselspital Bern have, with their publication in European Heart Journal in the autumn of 2011, contributed to the fact that increasingly more cardiologists are interested in collateral coronary arteries – not only in the area of acute myocardial infarction risk, but also with patients carrying early coronary artery disease. The two Swiss researchers and their colleagues have looked closely at 12 studies that unite the factor “mortality” with strong or weak collateral arterial flow. Among the approximate 6,500 patients examined, the mortality risk was reduced by about 36 percent where the patient had a strong collateral arterial system. Among these patients, the difference between the relevant figures for patients with stable coronary artery disease, subacute or acute Myocardial infarction varied only slightly. Wolfgang Schaper from the Bad Nauheim Max-Planck-Institute for Heart and Lung Research also underlined in a comment that “coronary collateralisation has a relevant protective effect”. 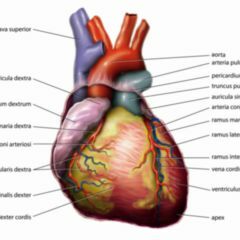 It looks as though a well-extended network not only indicates that there is a threat to the heart muscle, but it also protects against the final KO itself. For the time being, researchers have only found the association between mortality rate and bypass arteries. Only when their is success in artificially developing “short cuts” around the congestion-prone highway can one provide proof of their preventive effect. Medication for this, Schaper goes on to write, is not as yet available. At the Charité as well as in Bern attempts are therefore being made via physical methods to simulate the shearing forces, which otherwise generate plaques in the vessels. External counterpulsation is the name used in medical language for the method, the device serving the purpose has been christened “Heart Pants”. by its developers. The six inflatable cuffs around the upper and lower leg apply pressure to the vessels following the rhythm of the heartbeat. Thus, the system has a similar effect to, for instance, intensive sport. 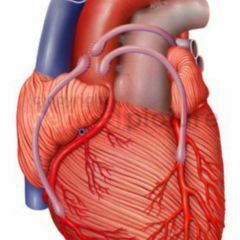 A study of twenty-three patients with CHD showed that the blood flow increased twofold. The degree of the ailments were reduced to such an extent that the treatment spared six of them from needing a balloon dilation or a stent. In Switzerland as well, experiences with this method have been good. In the short term – even if the infarct has already occurred – it appears, on the basis of observations made by Erik Botke from the Danish city of Aarhus, that the inflated cuff on the arm applied during measurement of blood pressure also seems to help. Four repetitions of five minutes each, says the Lancet publication, saves about ten percent of the ischemic tissue. But why do some patients without vascular problems have a distinct collateral arterial network, while for others, even when under arterial stress, this tissue development is completely absent? Does this outcome have something to do with the hereditary expression of control factors, or with an active immune system, as Schaper speculates in the European Heart Journal? These are important questions to which there are as yet no conclusive answers. Coronary heart disease accounts for around a fifth of all deaths in Germany. About a third of victims do not survive a first heart attack. Whoever can stimulate natural protective mechanisms for the heart spares himself or herself from an operation full of risks. One way to do this, however, also does the job without the need for major technical outlay: sport. my father was pationt of high blood pressure,but once when he went for amritsar gurudwara dershan to pay his homage, because of very scorch heat his feet got burned(means excessively heated) and when he came home his blood pressure was lower than normal range 60/80. i thought it may be due to heat stroke and told him to rest and dont take b.p medication for a day or 2. but for my astonishment he stopped medication and its already 5 months and his b.p is 80/110 without medication.